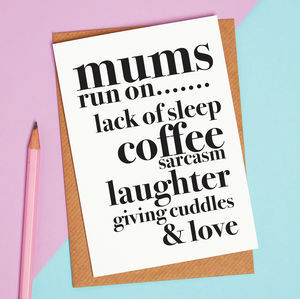 You're Mum is wonderful isn't she. 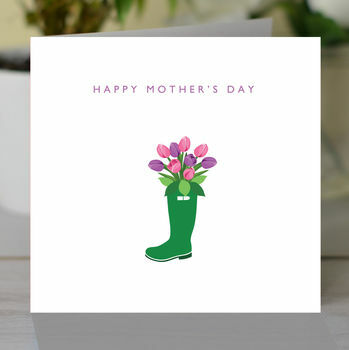 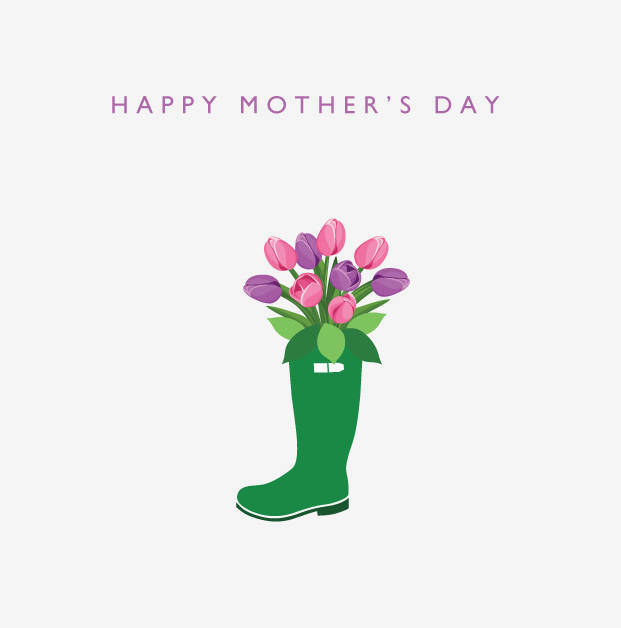 This card is perfect for a Mum who is a lover of countrysideand gardening - or one who just loves wearing wellies. 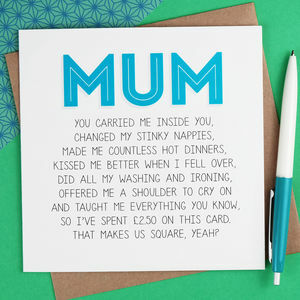 It is sure to let her know you think of her and to ensure that her Mother's Day will be fondly remembered. If you order this on the Thursday or Friday, close to Mothering Sunday then we cannot 100% guarantee delivery on time - Saturday, as Royal Mail's service is sometimes not as good as it could be during busy times, when ordering please accept this. 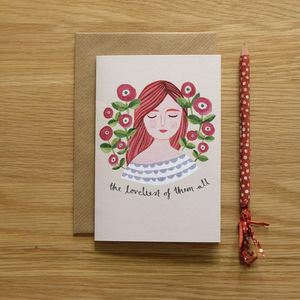 Made out of white, FSC credited recycled white card.